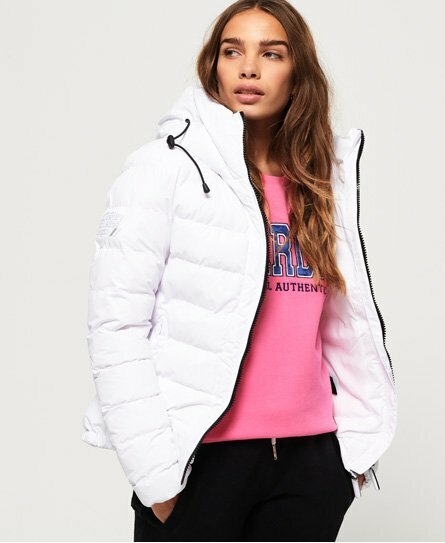 Superdry women’s SDX Arctic hood jacket. This hooded jacket features a single-layer zip fastening, two external zip pockets, a bungee cord adjustable waist and hood for added comfort and elasticated cuffs. This must have SDX Arctic hood jacket is finished with a high build Superdry Athletics Japan logo design on the sleeve, a logo badge on the other sleeve and logo detailing on the zip pulls.